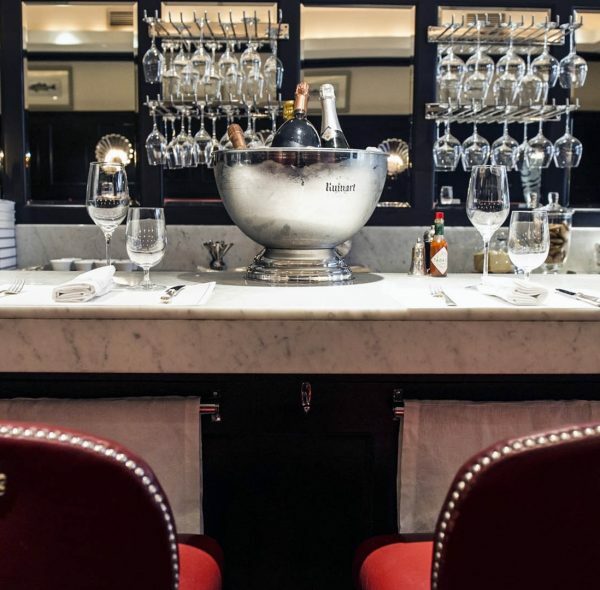 My most recent dining adventure brought me to Bentley’s Oyster Bar & Grill, a Corrigan Restaurant, tucked away on Swallow Street in Piccadilly London. 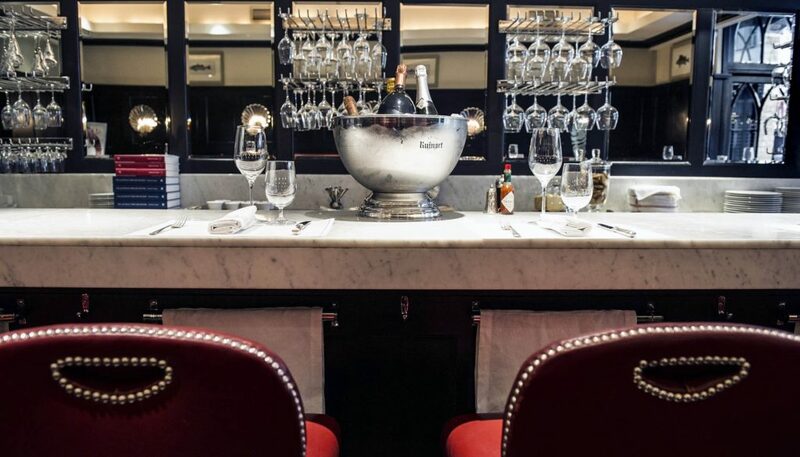 The first impression was the thought of when my best friend in New York teased me with his continuous visits to his local oyster bar, it was now my turn but in the UK. 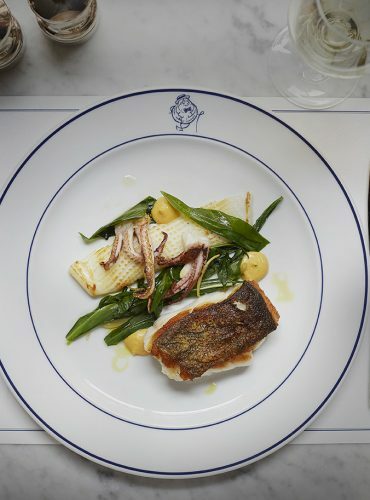 The atmosphere was of a rustic and buzzing New York brasserie feel with a French twist. We were welcomed by a very gracious hostess who led us to our table, the dining table seating in the bar area was a bit tight for my liking, so they kindly moved us to the Oyster bar where we had lots of space to be able to enjoy what was to come and to witness the comings and goings of the restaurant. Frederico, our waiter for the afternoon, gave us a quick introduction to the menu and the Daily Specials and brought over a chilled bottle of rose, which would soon turn out to be a perfect compliment to our meal. I was joined by my friend and Editor Lady Charlotte, who knew I had a new found weakness for oysters. She is not the biggest fan, so I had the choice all to myself. I discovered my like of oysters on a summer trip to Bordeaux and since then I have become hooked. Still new to the experience, I have a lot to learn about the different types, their tastes and effects. I was taught to just swallow whole, but I will soon gain the courage to take a bite and chew; I also prefer to squeeze some lemon on them rather than having them slightly cooked or topped with hot sauce, but each to their own! 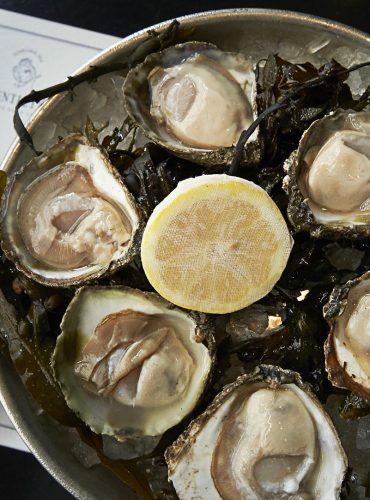 There were eight choices when it came to oysters, consisting of native and cultivated varieties. I obviously wanted them all so with the assistance of Frederico I settled for two from each kind. I fell in love with the first gulp of the incredibly velvety native molluscs, it just brought me straight back to August in the sun on the beach in France. I tried the second set of oysters, which were the cultivated and I definitely preferred the first set by a long shot! My dining companion selected the Octopus with Chorizo and the Scallops Ceviche as starters. We were on an even playing field, as I do not like octopus. We shared the scallops, which we both enjoyed, and I left her to the octopus. The super silky texture of this delicate dish was a joy, scallops are not typically a sharing dish and so if you do have a companion with you I suggest you order two portions, it is definitely worth the experience. 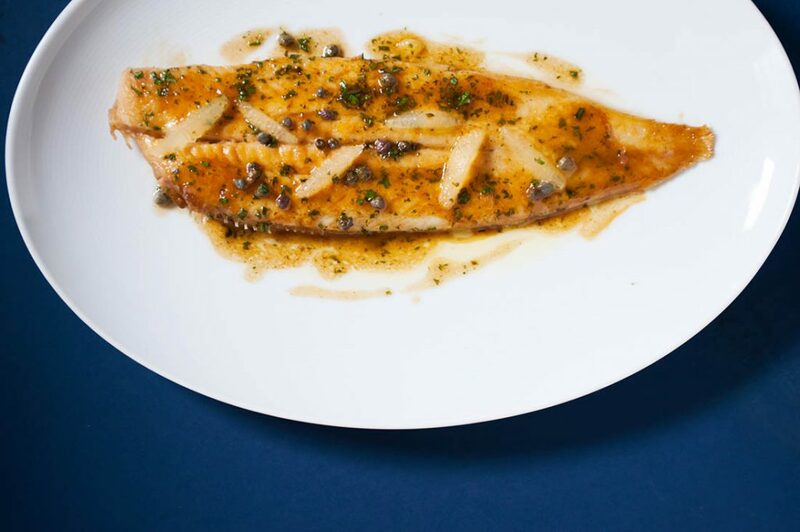 Our mains were the Lemon Sole Meuniere with brown butter and lemon that my beautiful companion decided on, and I was drawn to the Cod with Black Pudding on the specials board. Since I left Scotland I wanted to try this dish with the combination of black pudding with fish rather than the standard scallops you find in most seafood restaurants. 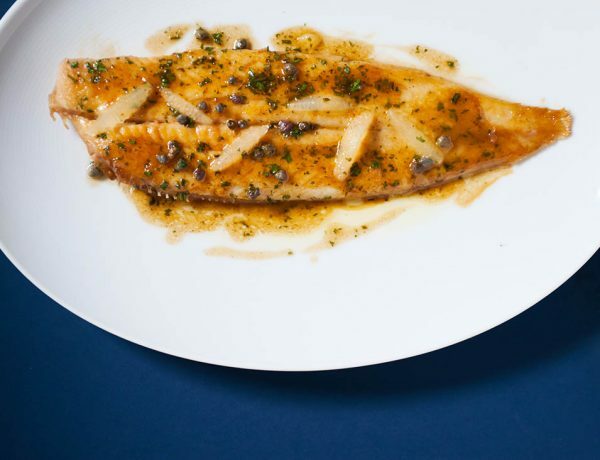 The sole was served flavoured with brown butter and lemon and our waiter kindly prepared the sole for Lady Charlotte on the bar right in front of us, I could see from her facial expression that she was pleasantly surprised with the taste from the first bite. The roast fillet of cod was served with roast peppers, grilled capers and of course the black pudding. Though the fish was meaty and tender, the rest of the plate was just a bit to plain in flavour for me, not the punch I was expecting from the combo of cod and black pudding. 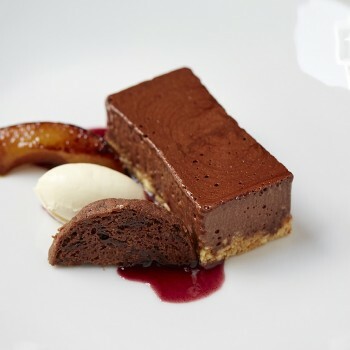 The meal was finished with the Dark Chocolate Mousse with almond and amaretto. 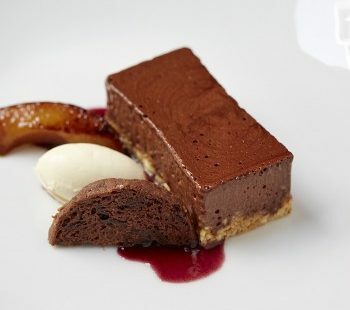 The rich chocolate was an evenly balanced flavour of bitterness and sweet. Having the almond and the amaretto crunch brought the dessert to a level of pure luxury. I could not finish it all but it left a satisfying memory after we left. In all, the dining experience was splendid and the atmosphere at lunchtime was very relaxed. We could have easily remained at our spot at the bar for a few more hours nibbling at seafood and drinking wine. 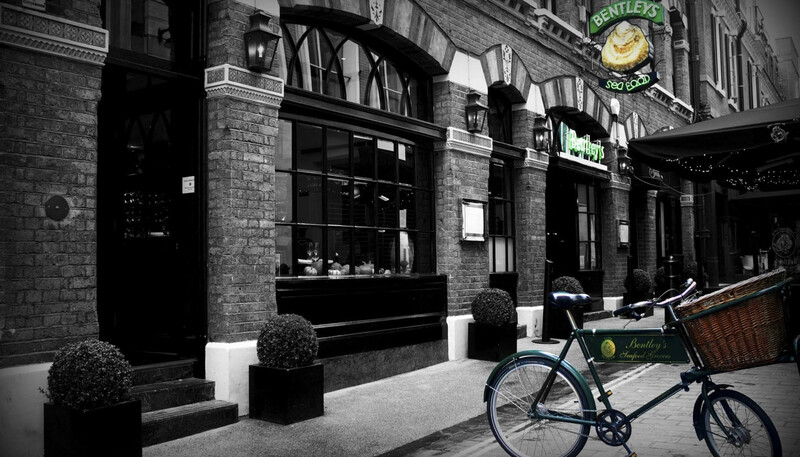 Bentley’s Oyster Bar & Grill is an upscale brasserie but equally a simple dining experience with wonderful staff to boot. 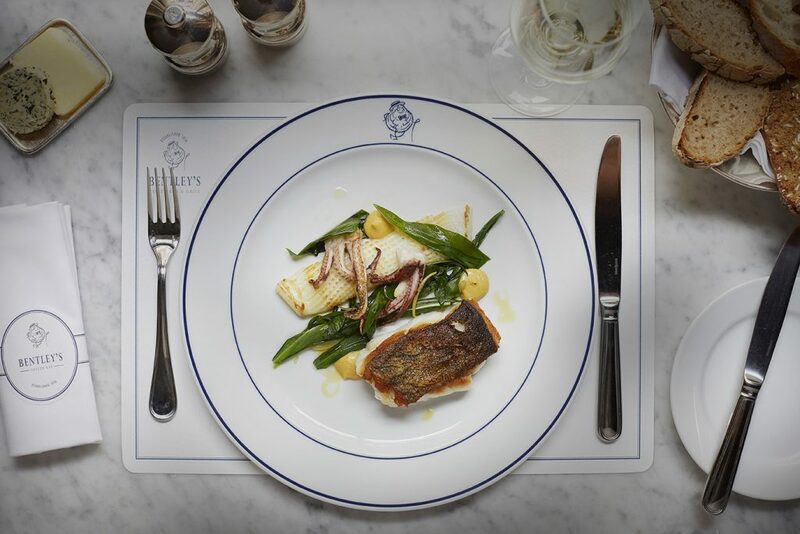 I would love to return to try more from the oyster menu and to also experience the other exquisite dishes available at Bentley’s, which is always dependent on the season and what seafood is available making each visit unique. 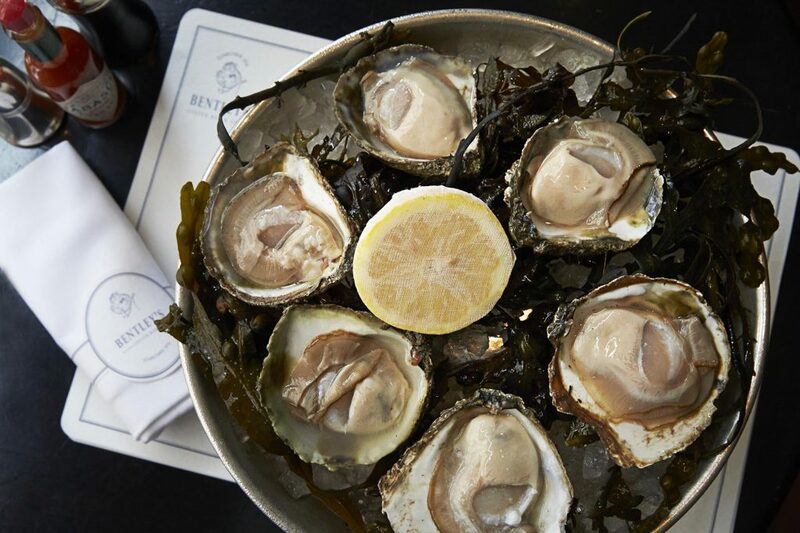 For those who want to learn more about how to prepare what you eat, the restaurant also offers master classes in oyster shucking and also runs seafood cookery courses. Count me in!